Print marketing is still very much alive and it requires as much care as you would on other marketing streams. 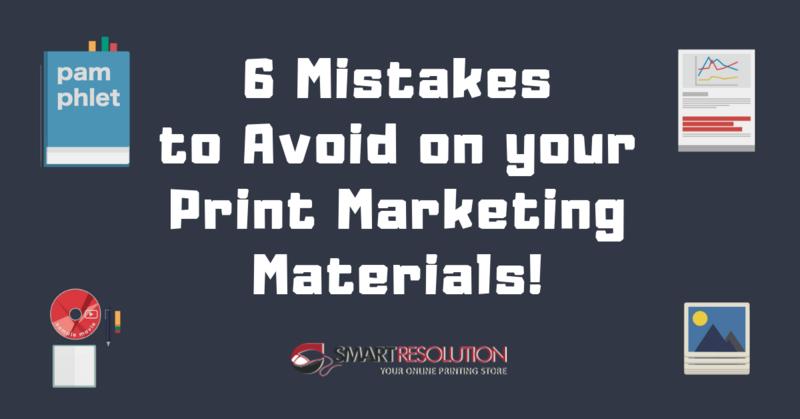 While there are a lot of tips and ideas on how to do it, we concentrate advising your small business on what not to do in your print marketing materials. This is a common mistake all businesses and individuals commit. Jumping to conclusions and starting actions without an analysis or plan. This would hurt your small business. Before you start, plan who will be your target audience, what content would they prefer, etc. Too much content would lose the reader’s interest; too little would not make any positive impact to your business. A printing material should have the right amount of content that makes the reader curious to know more about your small business without being vague. It is important to be consistent with your Printing Marketing effort. Don’t make it a one-time thing. Proper planning on your print marketing strategy will make sure that your efforts will be consistent, monitoring the results and making appropriate changes to the marketing effort. A business brochure isn’t just a print marketing material; it represents your business. Though high level communication skills are not required, it is necessary to get your grammar and spelling right, especially if your target audience is professionals. There might be occasions when time is not on your side and you need the materials immediately. Don’t go for all copies printed on the first instance. Print a test. Check for any errors. Proof read multiple times to make the content stand out. Proof reading makes sure that all the above mentioned points are not missed. Checking the amount and essence of the content, while making sure that your print materials aren’t missing the point make it worth going to the next level. Some proof-readers do it at the computer, while others do it on a printed copy which goes back to the earlier point. Though there are many other mistakes we are prone to make, these are the simplest yet deadly mistakes. Please comment below if you have committed these or other mistakes and how you experienced the aftermath. If you are planning to embrace print marketing for your business, you need to choose the right printing partner.